Challenger Mary Lou Johnson focuses on criminal justice reform. Attorney Mary Lou Johnson is a first-time politician. 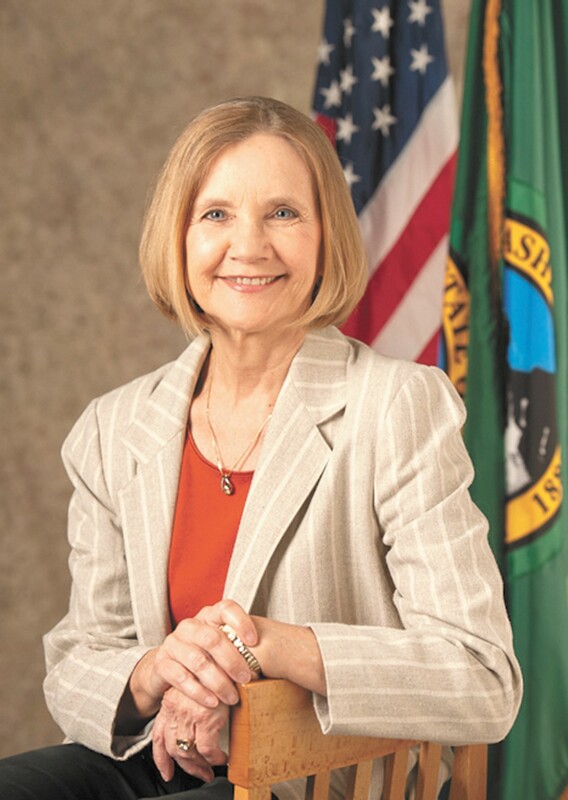 She's a relative unknown running as a Democrat in Republican-dominated Spokane County. And she's going up against a longtime titan of local politics: Al French — developer, architect, commissioner, veteran and former Spokane city councilmember. But this fight hasn't been a lopsided one. Despite competing with former Commissioner Bonnie Mager, Johnson nearly topped French in the primary. Today, she actually leads French by more than $25,000 in cash contributions. (Include French's in-kind donation to himself of materials left over from his previous election and they're basically tied.) The General Election will be a steeper climb: The primary only covered the more liberal 3rd District (the general is countywide) and even there Johnson struggled to pick up votes outside the city of Spokane. But with Mager out — and endorsing Johnson — the race is wide open. "People I speak to want balance in government, to ensure that the best decisions are made," Johnson says in her introduction at a League of Women Voters candidate forum. "Currently all three county commissioners have similar views and most measures are passed unanimously." She's worn a number of hats throughout her life: She's been a nurse practitioner, a teacher, a mediator, a lawyer, a nonprofit leader and a volunteer helping homeless kids. Politician is a new one. Johnson believes she'll be able to provide a balance to the business-minded conservatives on the commission. But she doesn't position herself as someone who'll just play the role of the loyal opposition, always voting against the two other commissioners. She says she wants to seek common ground, to act as a mediator on contentious issues. "I am a person who can see both sides of an issue," Johnson says. "That's my legal training." Incumbent Al French focuses on growth and jobs. French can point to moments where he has built diverse coalitions — he's won awards for his leadership on the Spokane Transit Authority board, for example, bringing deeply conservative and liberal members together to support public transit. Even back when he was on the Nevada-Lidgerwood Neighborhood Council in the '90s, he says, he brought neighbors together to build a COPS Shop and neighborhood council office. "I know that Mary Lou wants to say, you know, 'He just doesn't play well with others,'" French told the Inlander earlier this year. "That's just not supported by the facts." But Johnson points to moments where coalitions have collapsed. After French tried to wrangle more than a dozen municipalities to stick with the countywide garbage system, several cities pulled out. French is praised by fans and panned by critics for aggressively pushing his agenda forward. 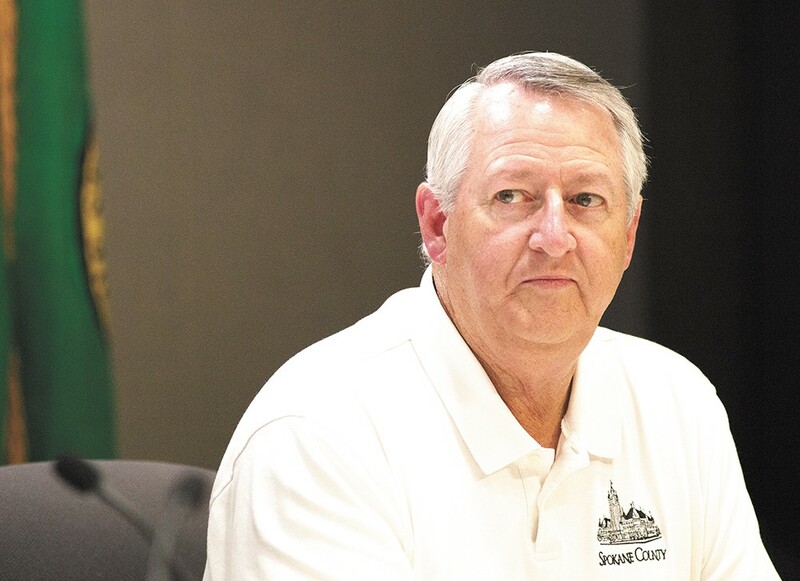 Those critics can be particularly colorful in their dislike of French, who has been accused of retaliation — as when he refused to fill Spokane Historic Landmarks Commission vacancies in part because the commission raised concerns about construction he supported. "There are probably as many negative relationships he has had as positive relationships," Johnson says. "That does not speak well of a public official." On many issues, French is confident, where Johnson is more cautious and skeptical. He provides answers, she provides questions: To him, there isn't a doubt in his mind that constructing a Spokane tribal casino poses a risk for Fairchild Air Force Base. Johnson isn't so sure. She believes that the Air Force, not the county, should be the one raising concerns about any alleged impact to the base. "I would not have the county taxpayers spending more money to litigate that issue," she says. Johnson has nearly two decades of experience in the courts. She was part of the Smart Justice Campaign, a broad coalition of community members and organizations looking to reform the criminal justice system by finding alternatives to jail for nonviolent offenders. Four years ago, French mocked his county commissioner opponent for wanting to "hug a criminal" instead of putting him in jail. Yet in the time French has been in office, the county — and French himself — has moved significantly closer to the Smart Justice philosophy. "My opponent says that he realized that criminal justice reform was needed in 2010," Johnson says. "But unfortunately we have not seen any improvements over the last four years during his term in office. And I think that's unacceptable." French lists a bevy of improvements, like new early-case resolution and pretrial service reforms, already underway at the county. "We've made some improvements. We've made corrections," French says. "But this is a big ship and it's going to take some time to change it." Johnson admits there have been positive reforms, like restarting the legally required Law and Justice Council in May, but thinks they need to be bigger and come faster. "None of these have been taken to scale," Johnson says. "A lot of [the courts] are doing good things, but they're very, very small compared to the number of people that could be in those programs." Her expertise, she says, can get them there. Criminal justice may be Johnson's specialty, but development is French's. His real-estate past and long developer-friendly voting record has won him praise from manufacturers and groups like the Spokane Home Builders Association. By contrast, Johnson has been a volunteer lawyer with the Center for Justice, the organization that has repeatedly sued the county for its land-use decisions. She believes the county has opened itself up to expensive lawsuits, noting that it never ran a full cost-benefit analysis about the impact of its expansion. "I promised I'd bring more jobs to the county, which I did, and have done," French says at the forum. "The rate of growth on the West Plains for the last three and a half years has been greater than any other period in the previous three decades. Good paying jobs. Aerospace. Advanced manufacturing. Regional distribution facilities." French credits that, in part, to his business-friendly reforms like streamlining the permitting process and to his tireless efforts selling Spokane County to businesses.